Since Henry Ford's first Model T rolled off the assembly line making automobiles affordable to the average person, Americans have been in love with the beauty and performance of cars and trucks. A new industry centered on the restoration of classic and vintage vehicles has evolved in recent years. CCCC is one of only two community colleges in NC offering curriculum education in this exciting automotive specialty. Americans do love their cars, whether they are classic works of art from the 20's and 30's, the vintage vehicles of the 30's and 40's, or the heart-pounding muscle cars of the 50's and 60's. Freedom-loving Americans celebrate the unity of style and purpose in their transportation. Restoring these automotive treasurers back to mint condition can be both enjoyable and profitable. Employment opportunities include positions with established restoration companies or self-employment. 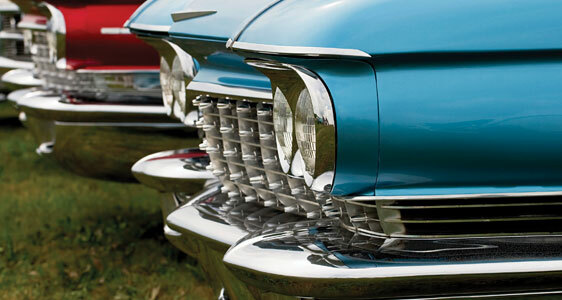 Restorers may engage in "whole car" restoration or specialize in areas like body painting and repair, electrical wiring, fabrication or engine and drive train restoration. In the Automotive Restoration program students get extensive hands-on training in a variety of subjects such as metal and plastic body restoration, wood and steel component fabrication, automotive engines and drive train, painting and refinishing, automobile upholstery, electrical systems and welding.